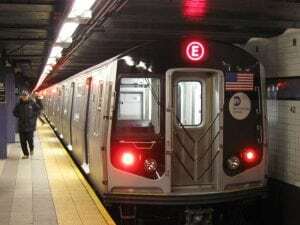 Brooklyn, NY (March 24, 2019) – Police responded to the scene of a fatal train crash that took place this morning. This was the second major train accident that occurred on Sunday. A man had been struck by a train and, by the time officers and emergency responders arrived, the victim had already passed away. The accident took place around 6:30 a.m. in the area of the Wyckoff and Stanhope train station. Police are not sure why the pedestrian was on the tracks at this time. However, they are still investigating the circumstances of the accident at this time. Every year, many train accidents will take place across New York, some of which involve pedestrians who ended up on the tracks at the wrong time. Though many people will not survive train accidents, some will receive catastrophic injuries due to these accidents. If you have lost somebody close to you in one of these accidents, our wrongful death attorneys want you to know that you are never alone. Our attorneys at Hach & Rose have handled a wide variety of cases to those who have suffered the most significant losses at the hands of another party. We understand that the days, weeks, and months following one of these accidents might not get easier as you are left to suffer emotionally and financially. This is why we would like to extend our helping hand to you. Contact us for more information at 212-779-0057.